It's been awhile since we've sat down and chatted. A whole month dedicated to freezer cooking has passed us and I don't think I talked about much else during that duration. So pull up and chair and let's get comfy for a bit! Last week was a tough one for our family. After struggling for almost three years, my uncle lost his battle to cancer. He's had a very difficult summer and these past few weeks have been hard watching him suffer with pain. A family friend posted this on her Facebook page and it seems so fitting. Even through our tears, we can be comforted in knowing that he's not suffering anymore. Okay moving on to happier subjects! Even though I want summer to stay forever, I think I'm ready to enjoy some of those fall comfort foods. Erin from Table for Seven shared these baked doughnuts on her Facebook page today. 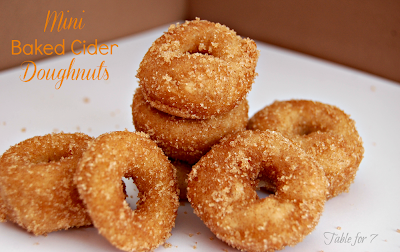 I haven't made doughnuts in a long time, I might have to wipe the dust off my pan and bake a batch of these! We're down to our last full week of summer vacation. Soon my Sunday afternoons will be spent prepping for the upcoming week. Do you do any meal prepping during the weekend? I love this recent post from MOMables. Lots of great tips! This was an interesting read from last week. 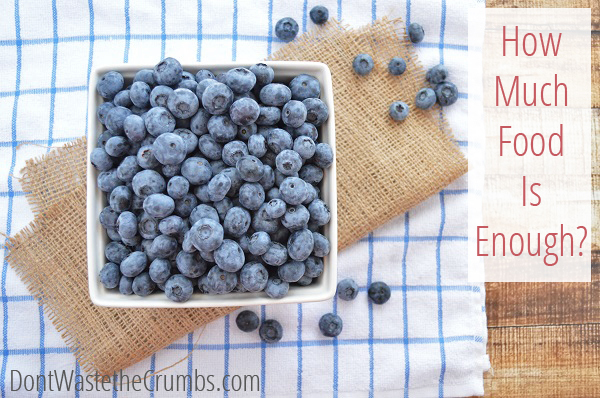 Have you ever given much thought into how much food you already have in your home? I know personally, I can look into our pantry and declare I have not a single thing to make. But in all reality that's not true one bit. During our own personal spending strike back in February, we forced ourselves to really use up what we had on hand. That included a lot of produce I had frozen during the summer months. Part of me wonders if some of it might have gone to waste if I hadn't taken on the challenge. Anyways, I thought you might enjoy this article; just a little food for thought. Need one more quick craft to do with the kiddos before they are sent off to school? 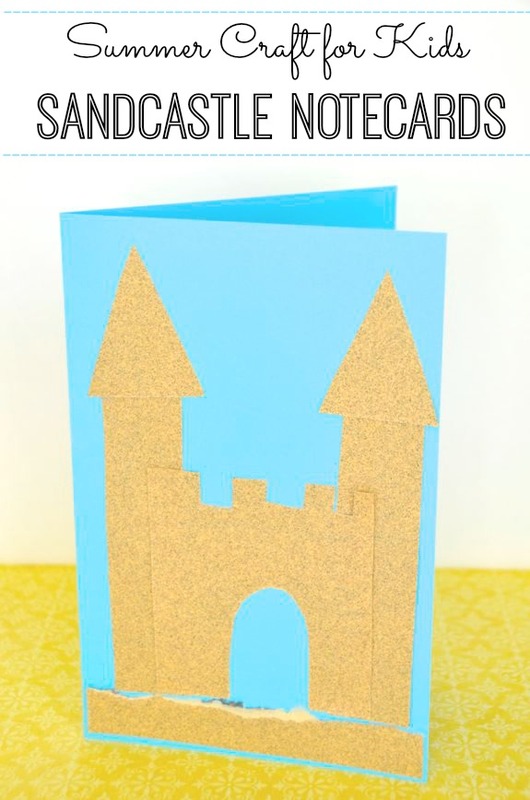 I really like this sand castle card from Inner Child Fun. Seems pretty easy,especially for the older ones.